Clever! 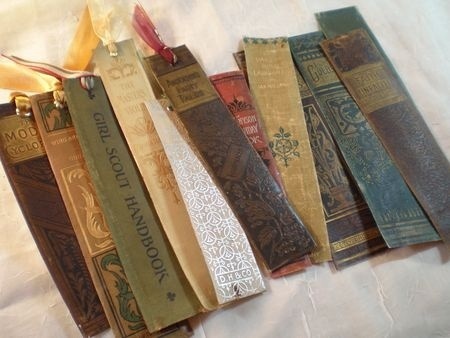 Turn old book spines into bookmarks. I have to admit, I love collecting bookmarks almost as much as I enjoy reading books. These bookmarks are a beautiful way to recycle old book spines.